Read The New York Times investigation of the new Panama Canal by Walt Bogdanich. 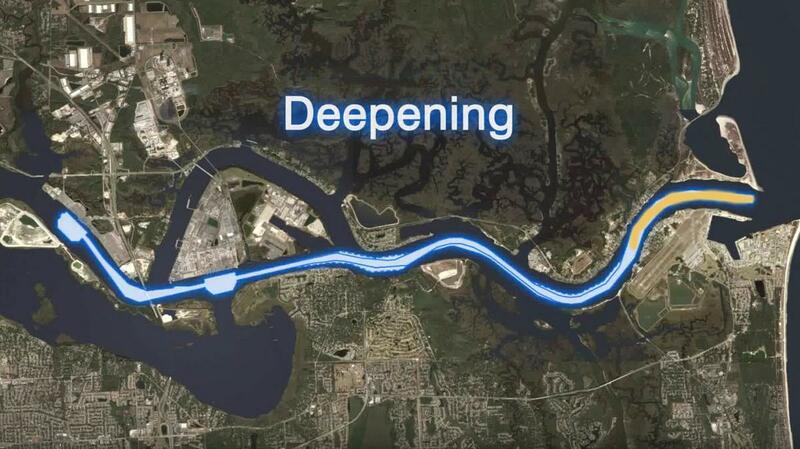 I question whether the proposed $1.1 billion Jaxport dredging project makes economic sense. IF post-Panamax vessels cannot get through the canal fully loaded (due to lack of sufficient water), will shipowners send them to Jacksonville? Before spending any more money on this boondoggle, the Army Corps of Engineers must revise its data analysis. The $1 billion dredging of the St. Johns River to accommodate Panamax ships may be halted, after all. It may no longer make economic sense. Walt Bogdanich and colleagues report in The New York Times that the success of the $3.1 billion Panama Canal expansion is in peril, particularly due to a lack of sufficient water to float the enormous cargo ships. In recent months, shipowners have been advised not to load their extra-large cargo ships fully, lest they scrape the bottom of the Panama Canal. If shipowners cannot fully load their container ships, why would they pay extra money to ship cargo to Eastern ports like Jacksonville? Shipowners can continue shipping to West Coast ports on the Pacific Ocean, saving money by transporting containers from fully-loaded vessels by rail. Hence,the City of Jacksonville and Army Corps of Engineers cost-benefit analysis may need to be revised.